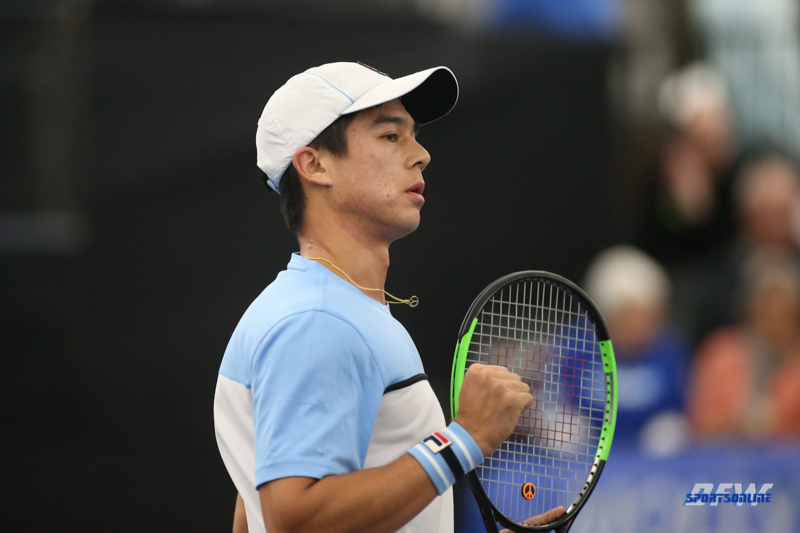 Talk about a fairytale finish. 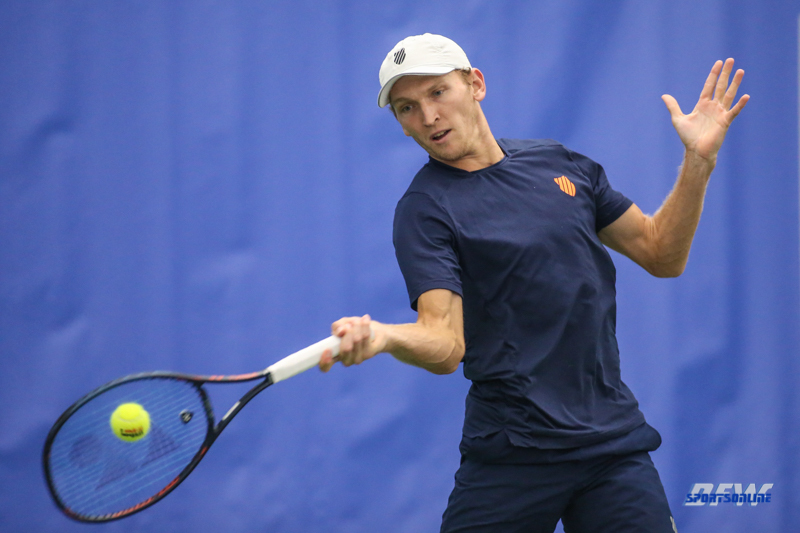 It doesn’t get much better than this for Mitchell Krueger. 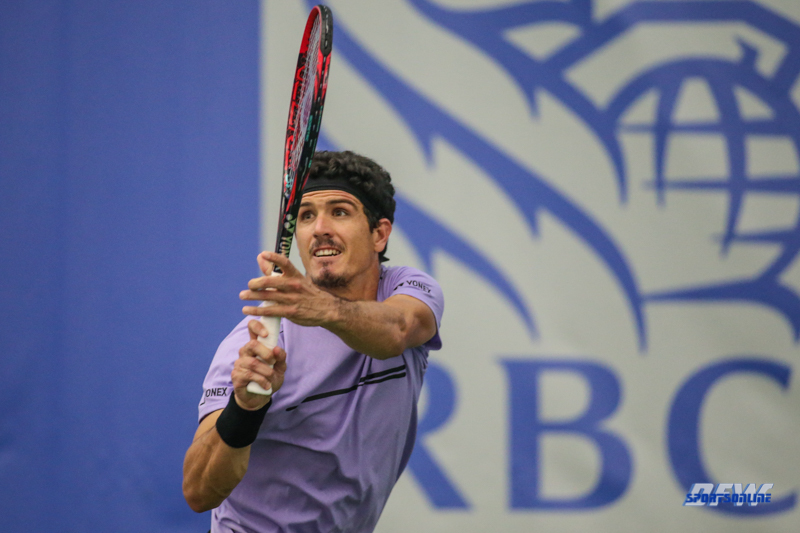 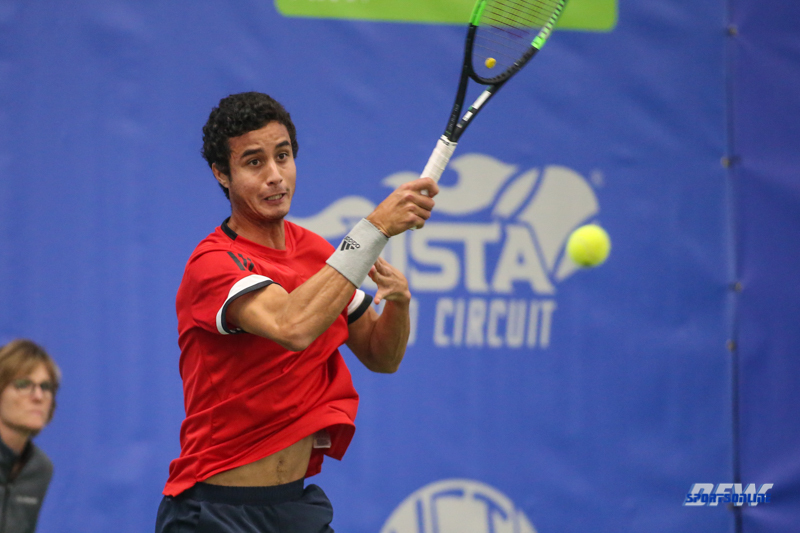 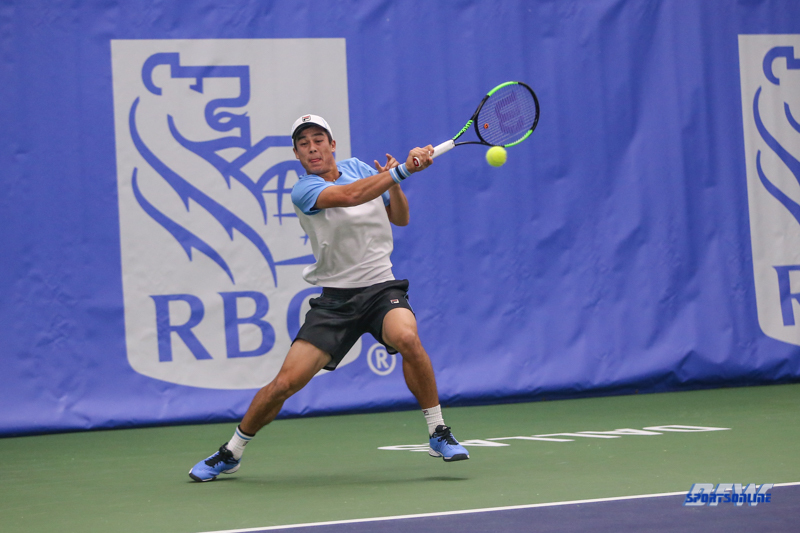 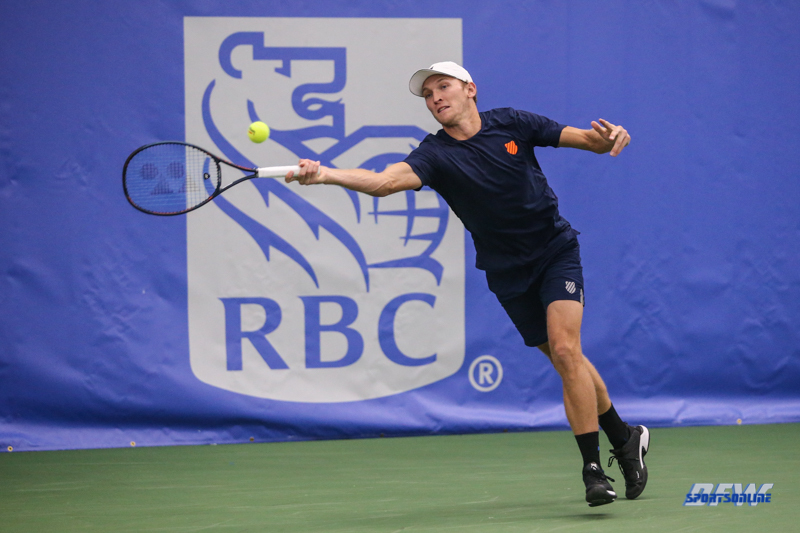 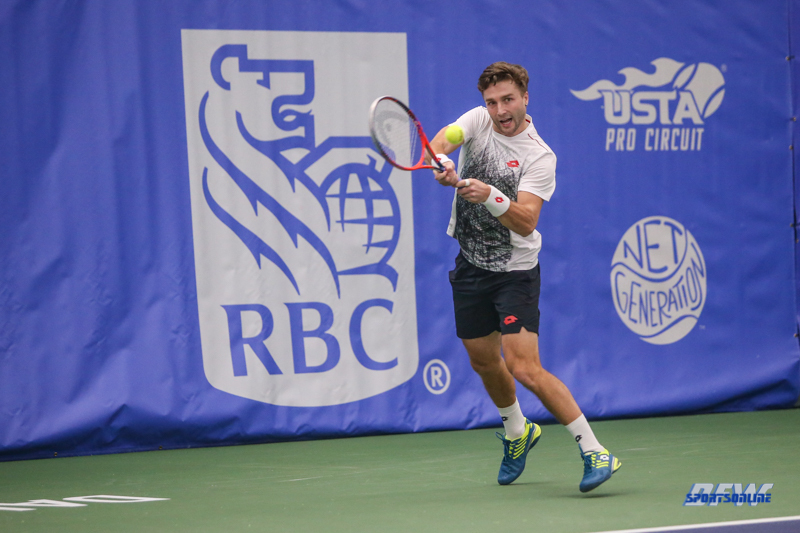 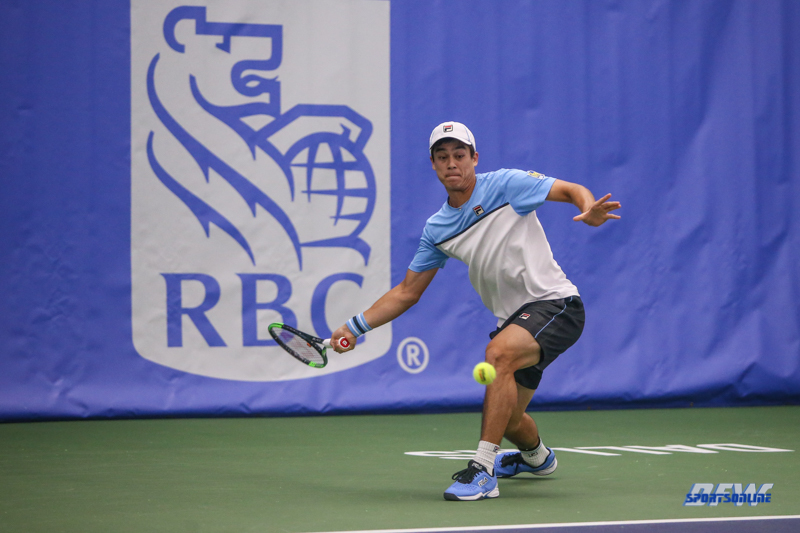 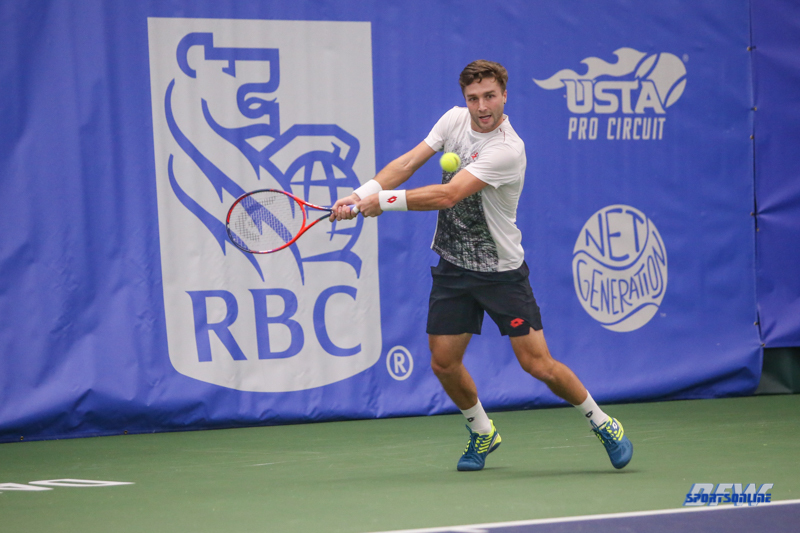 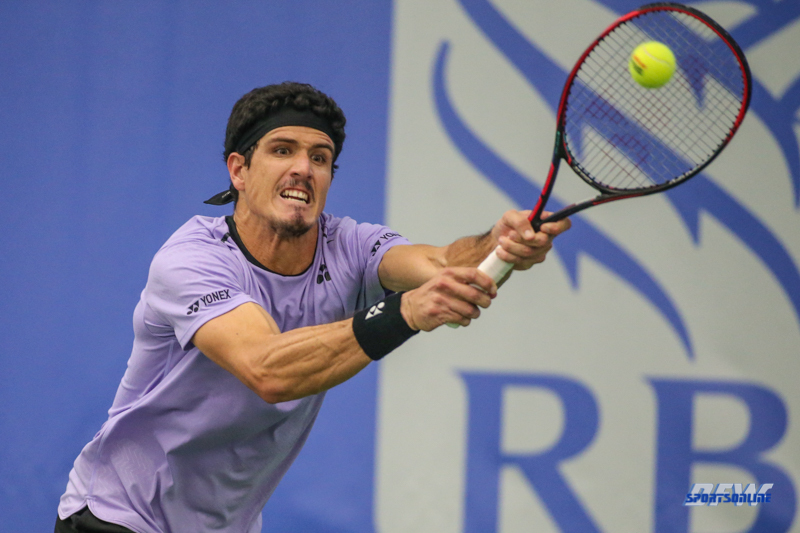 Krueger captured his maiden ATP Challenger Tour title on Sunday at his hometown RBC Tennis Championships of Dallas. 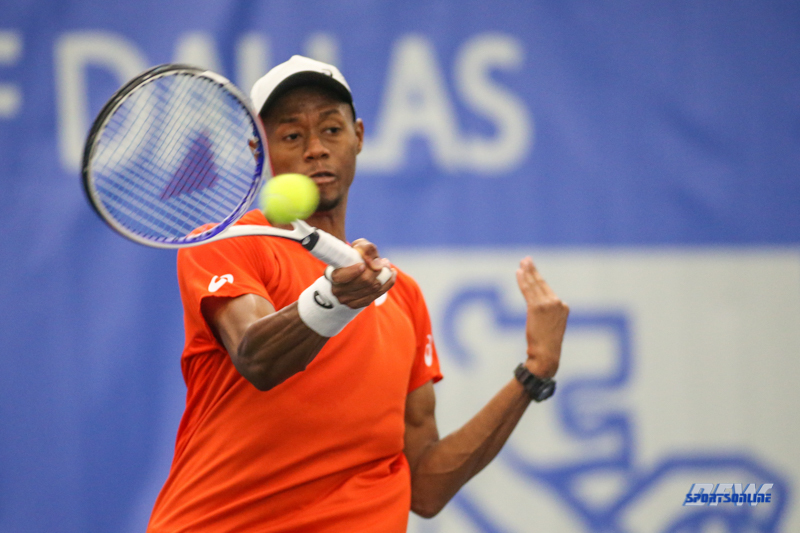 In front of his family and friends, the nearby Fort Worth native produced a dramatic display to raise the trophy. 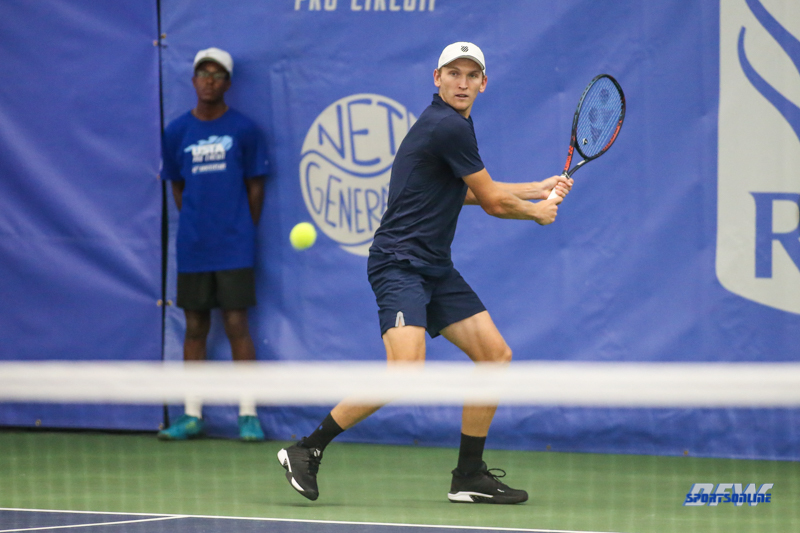 He rallied from a set and a break down to outlast Mackenzie McDonald 4-6, 7-6(3), 6-1 after two hours and three minutes. 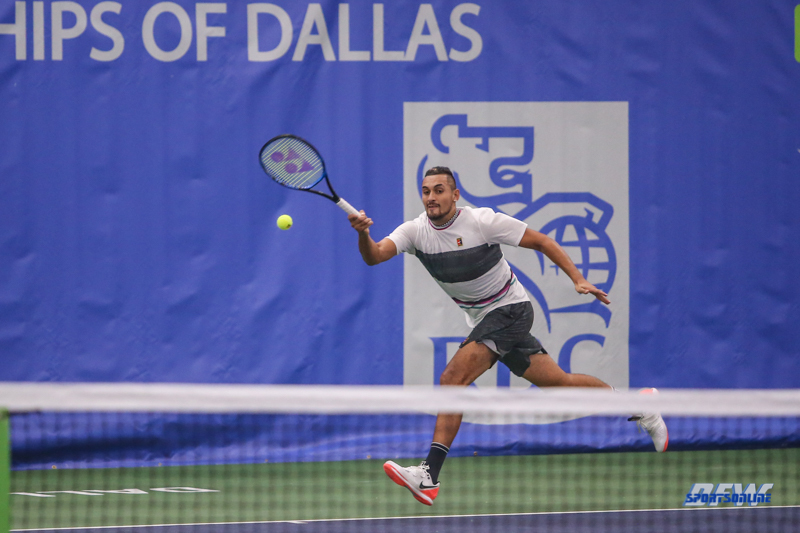 The victory carried added signficance, considering Krueger was born and raised in the Dallas area and trained at T Bar M Racquet Club since he was nearly 10 years old. 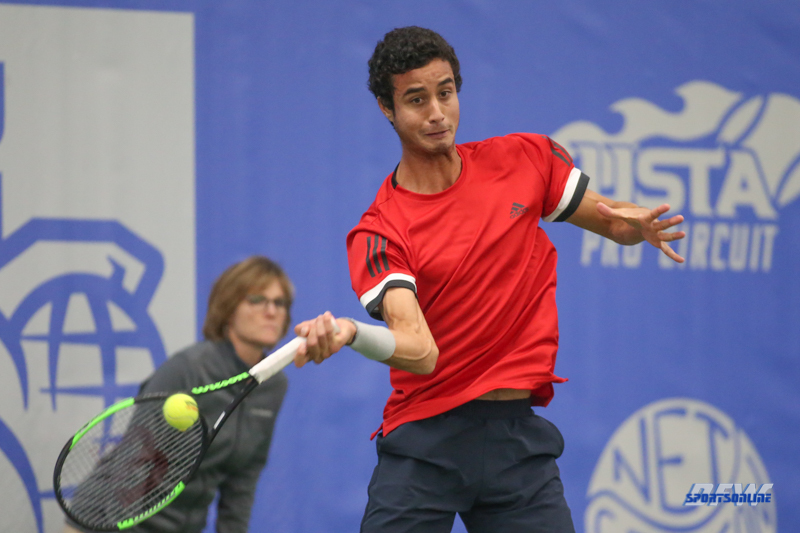 Now, the tournament has its first home grown champion in its 21st edition. 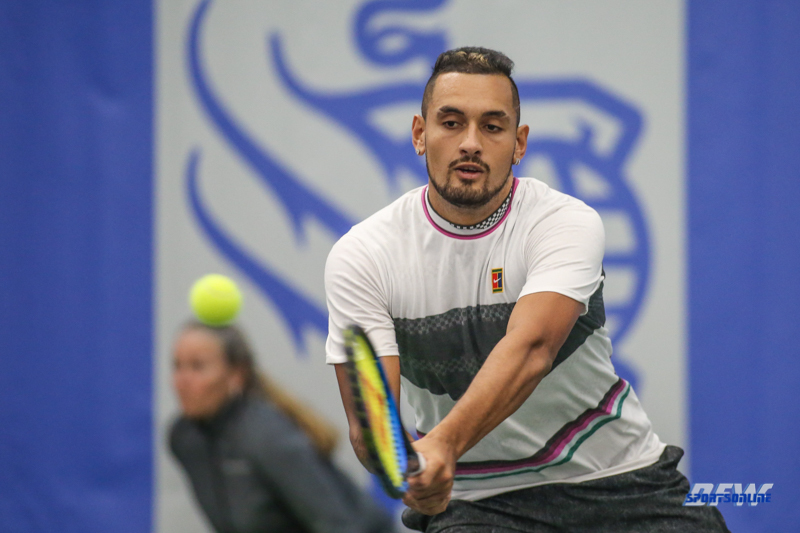 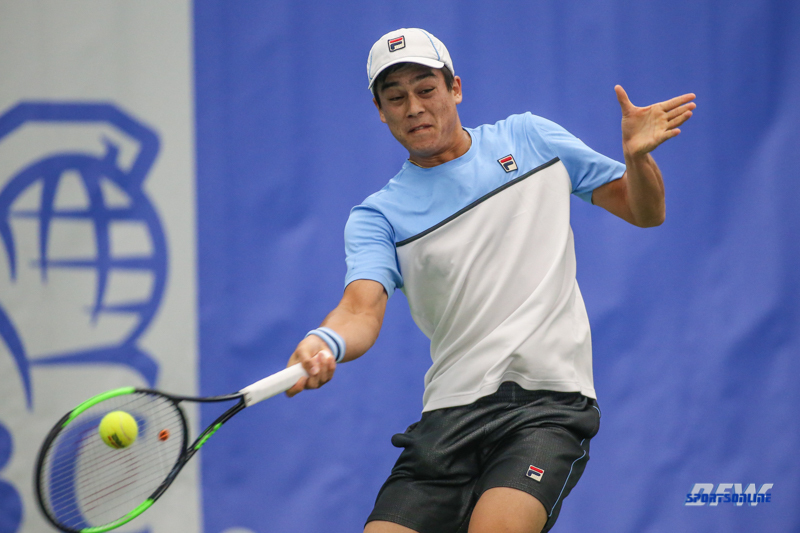 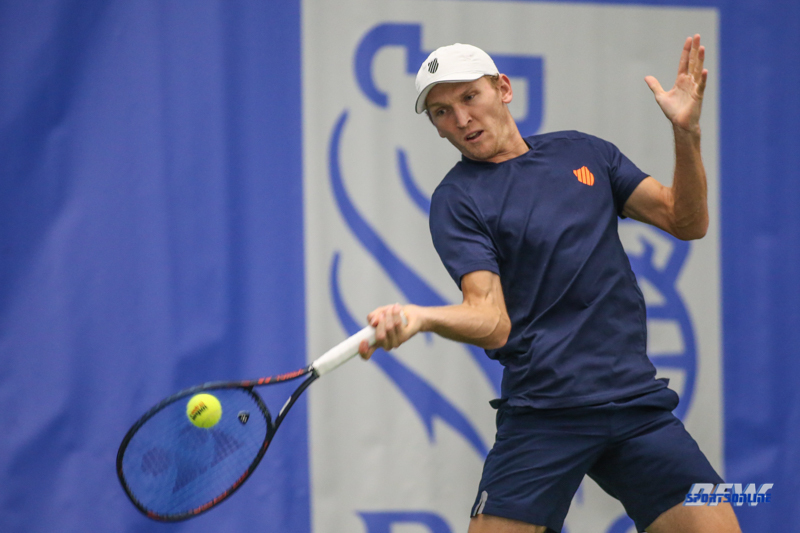 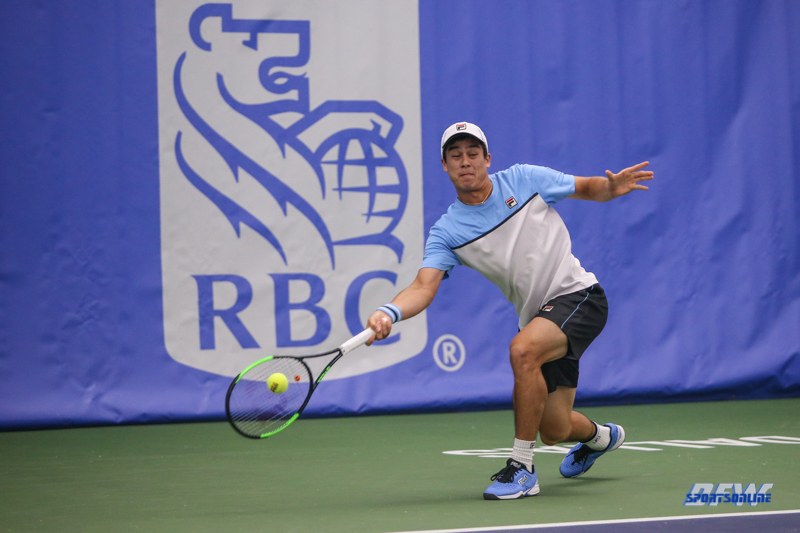 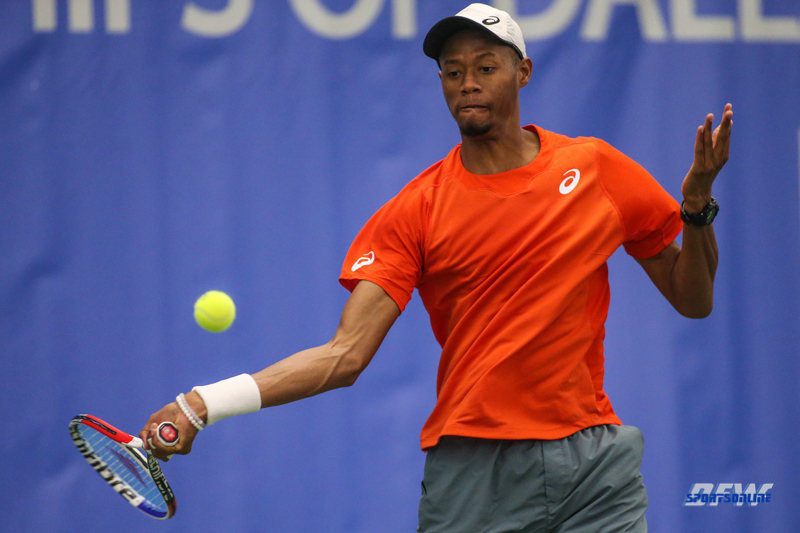 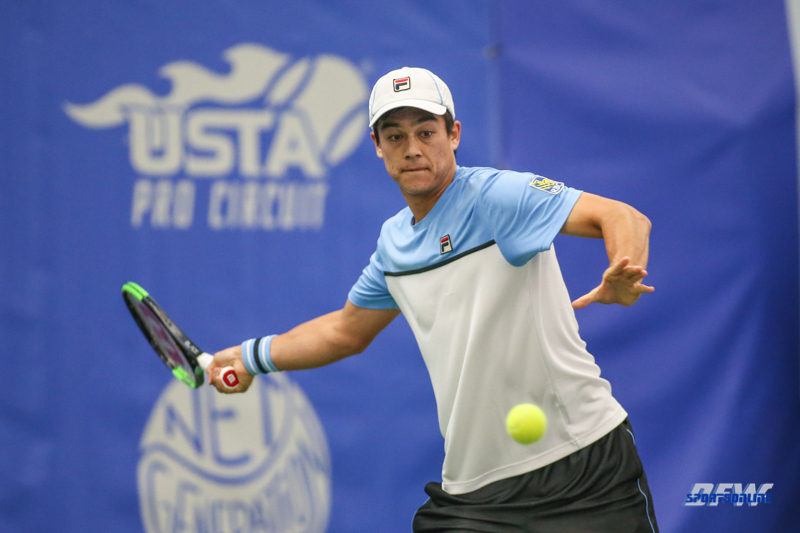 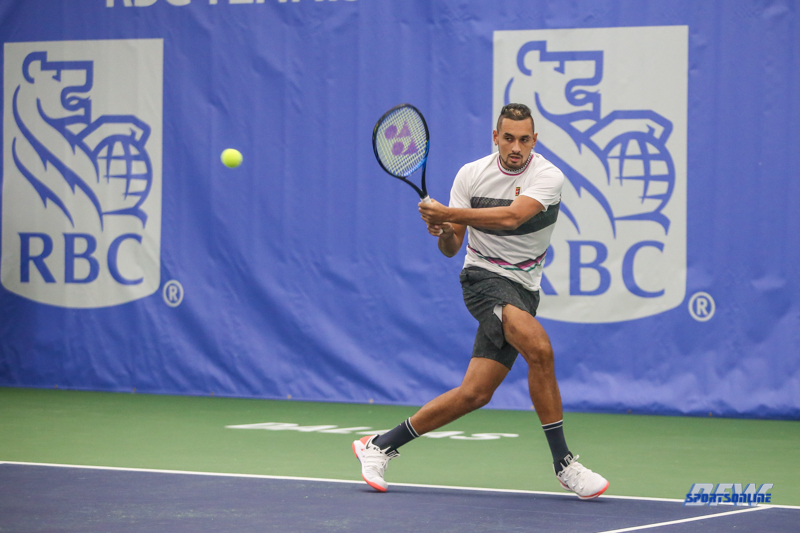 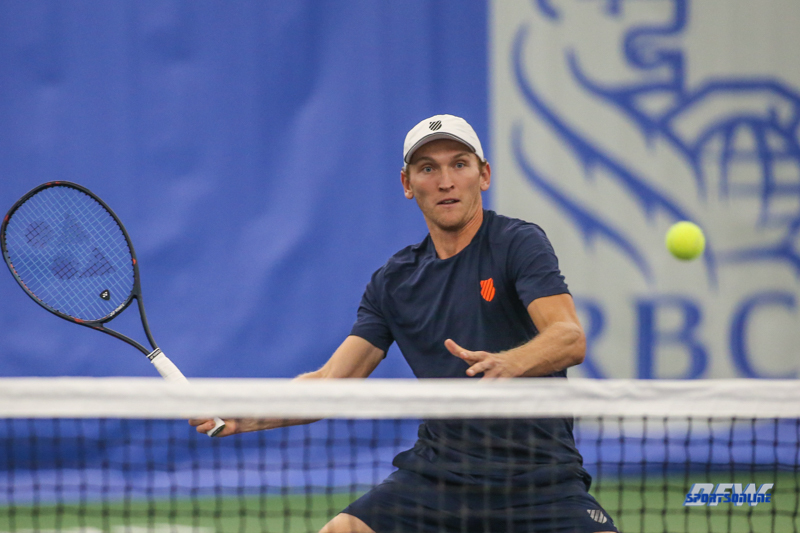 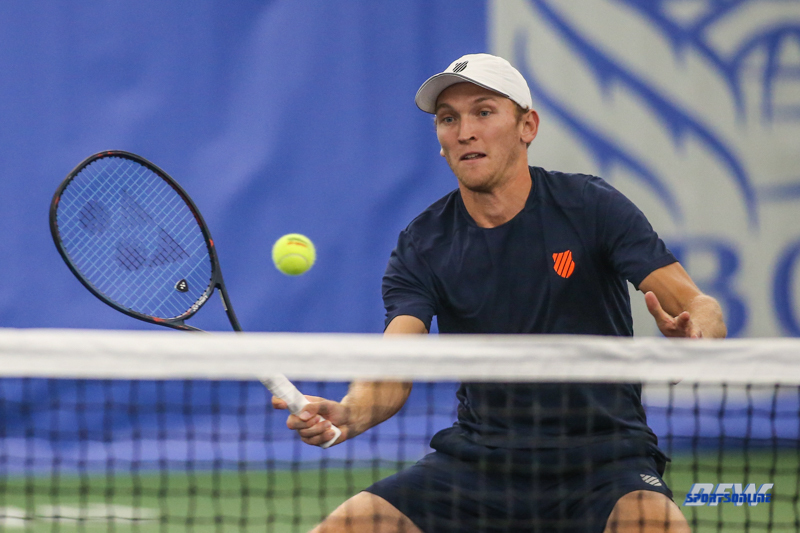 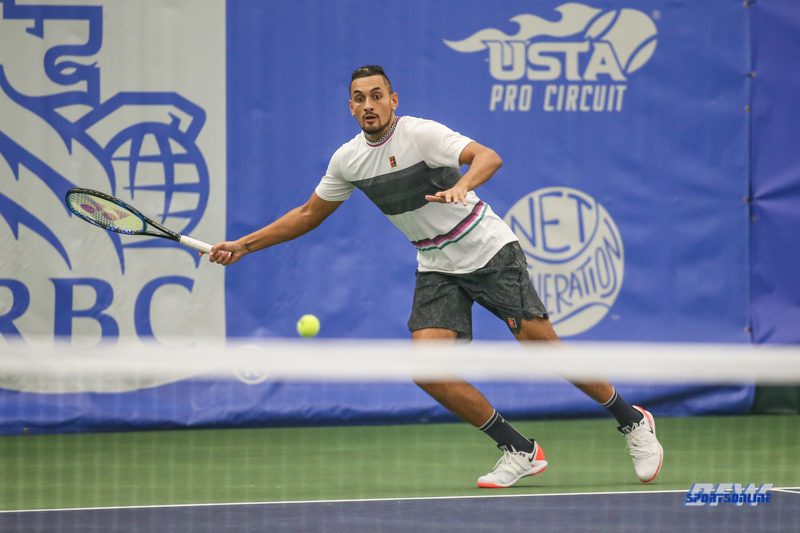 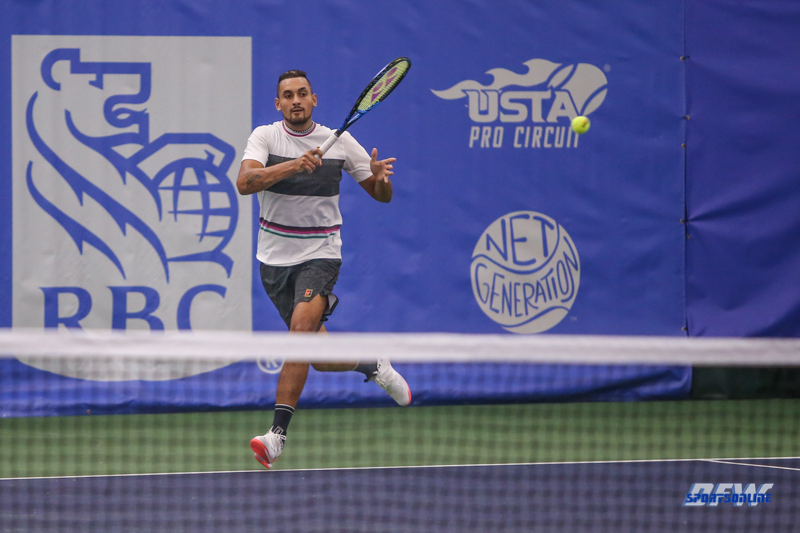 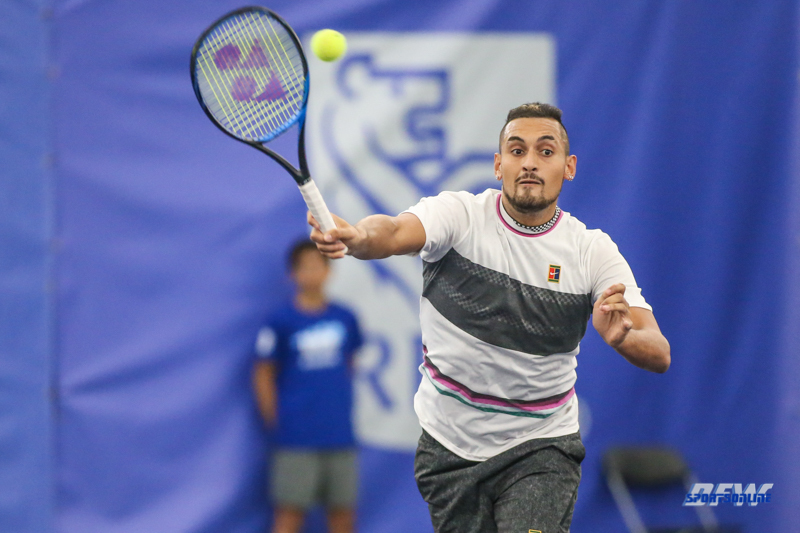 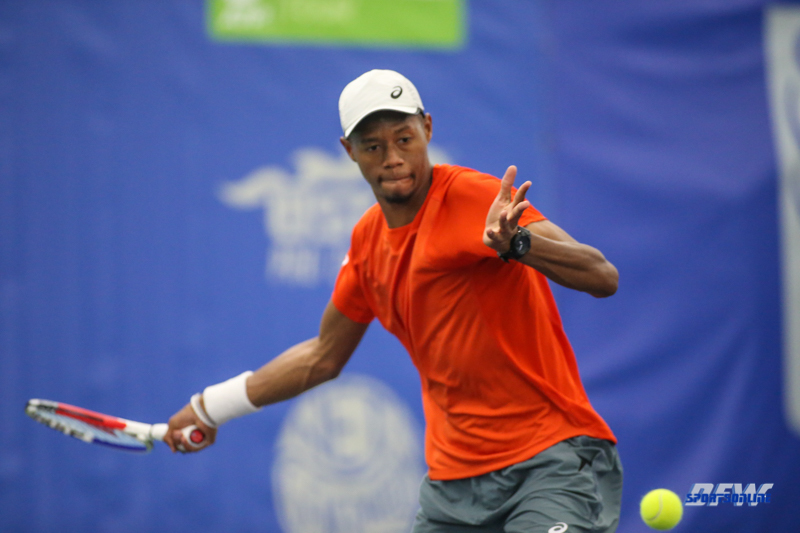 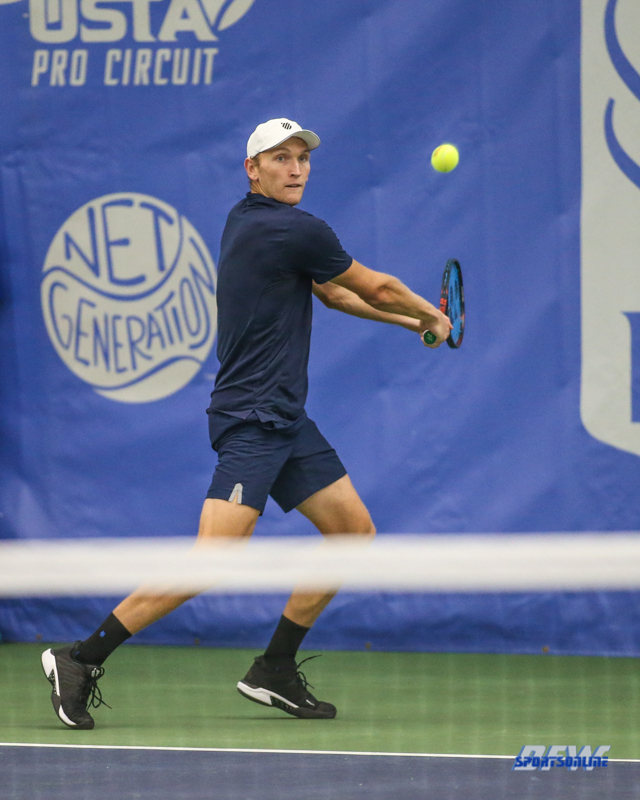 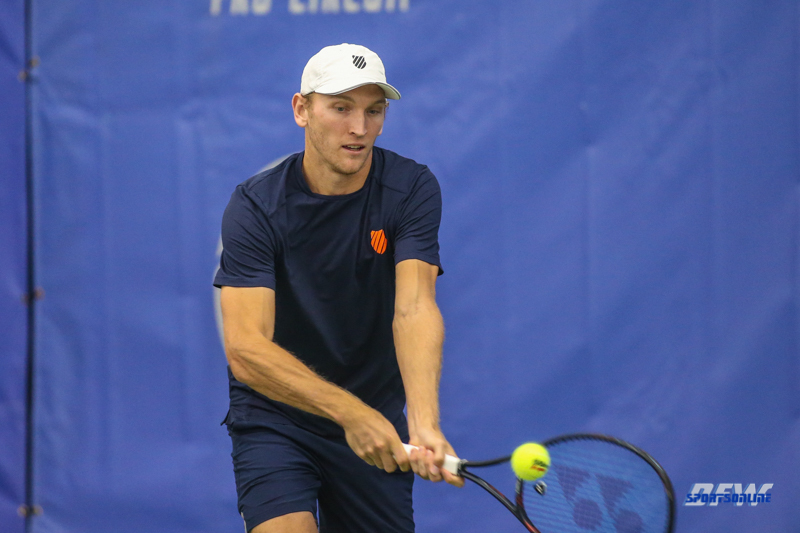 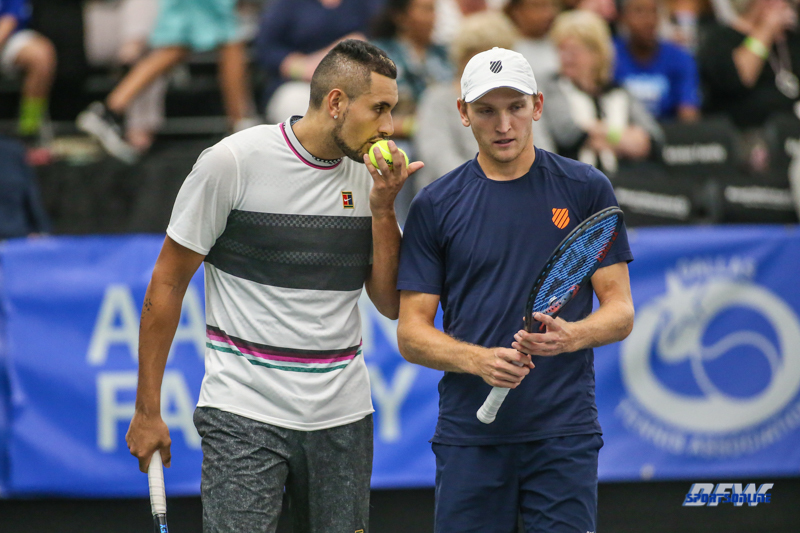 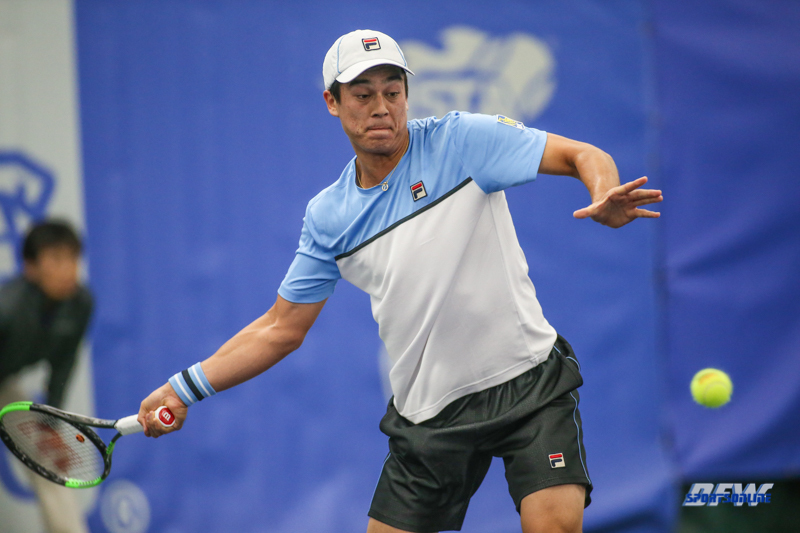 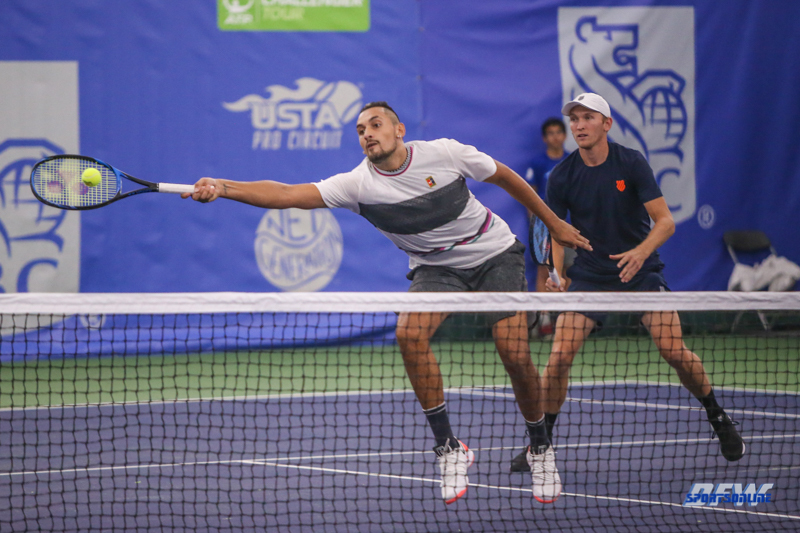 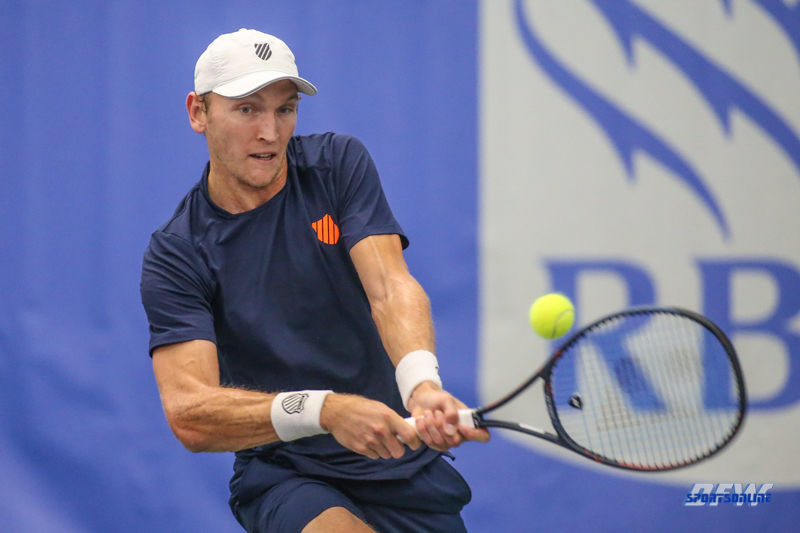 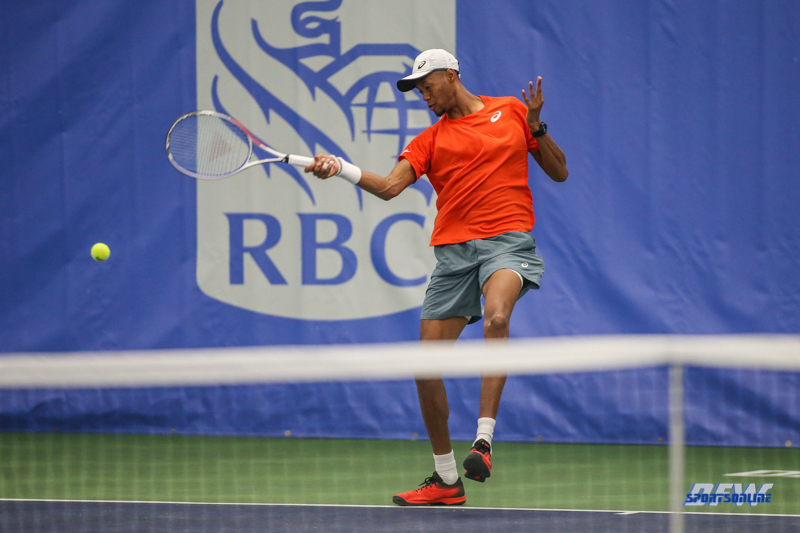 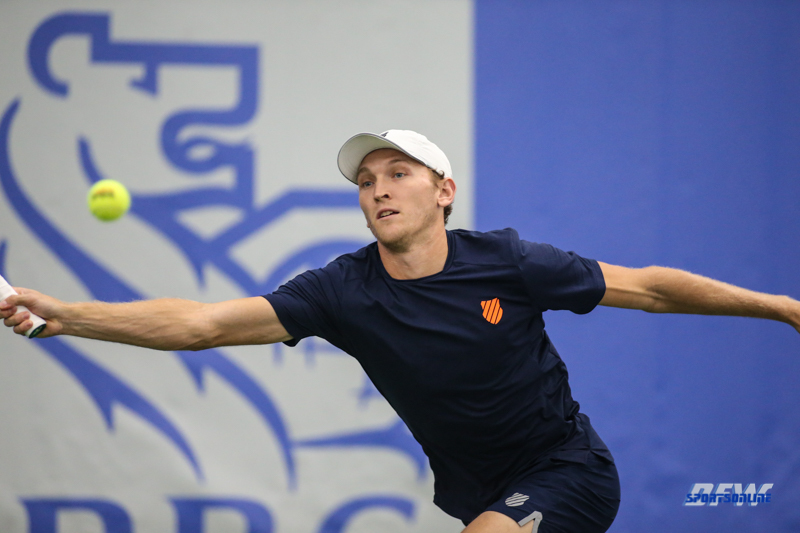 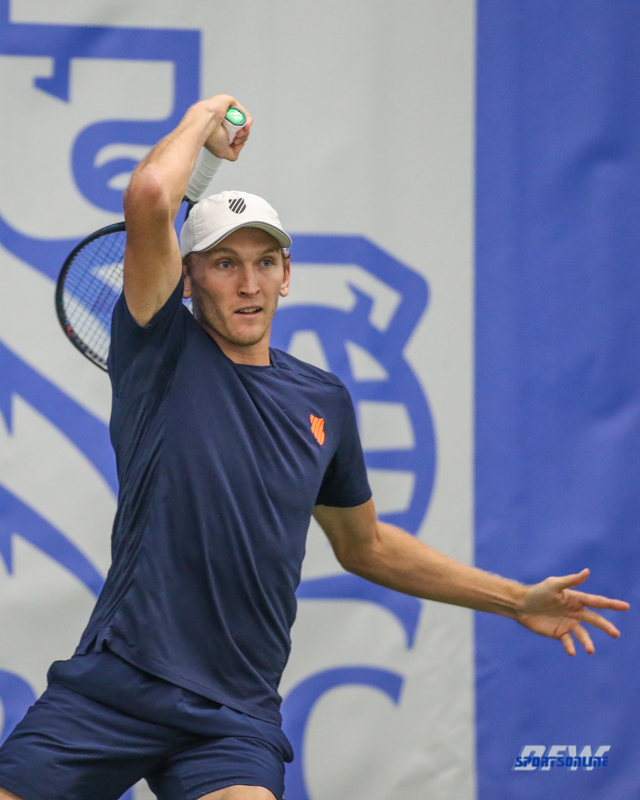 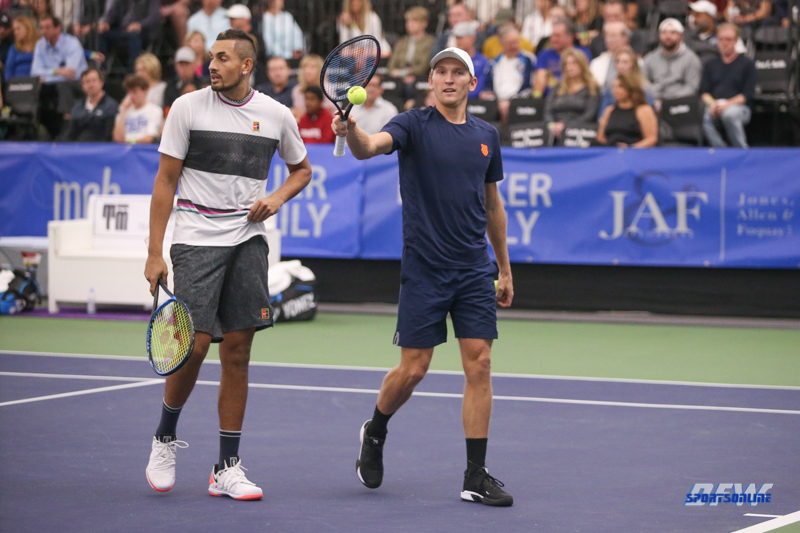 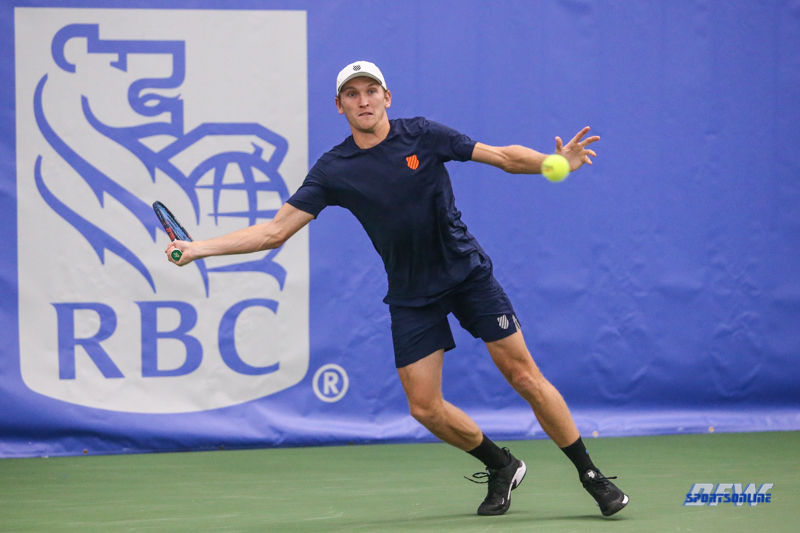 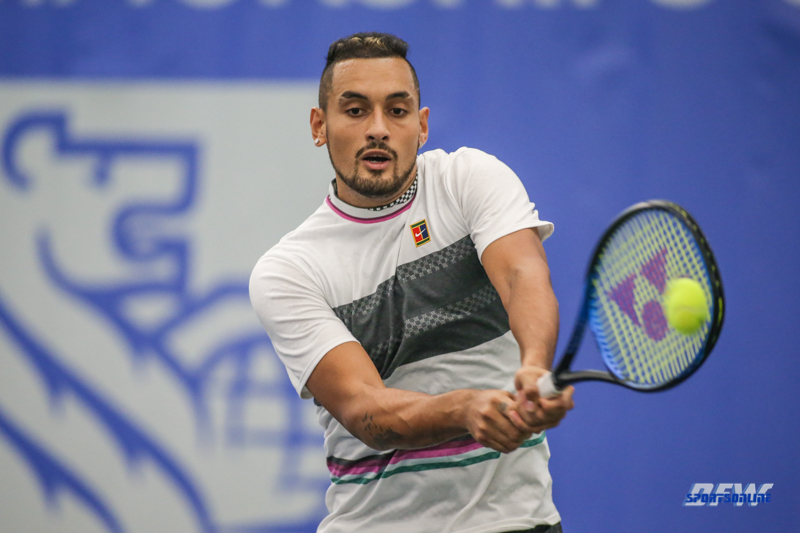 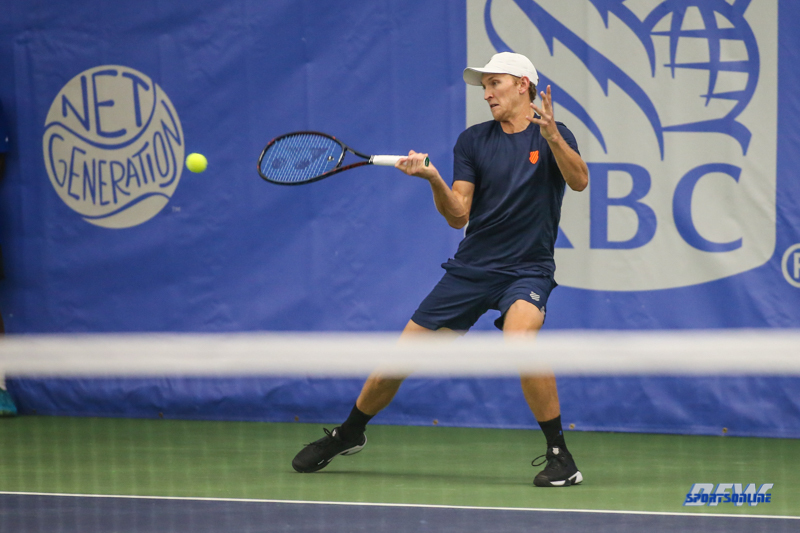 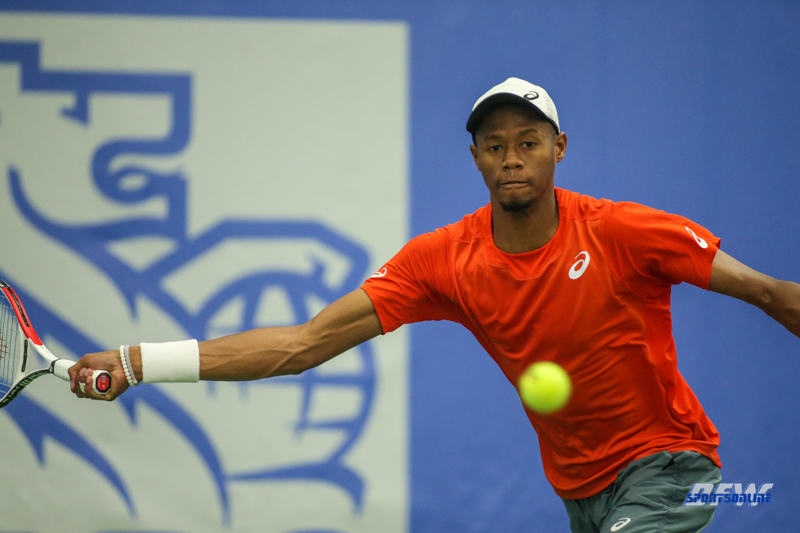 McDonald entered the prestigious Challenger 110 event as the top seed and had reached the final in 2018 as well, but this was Krueger’s day. 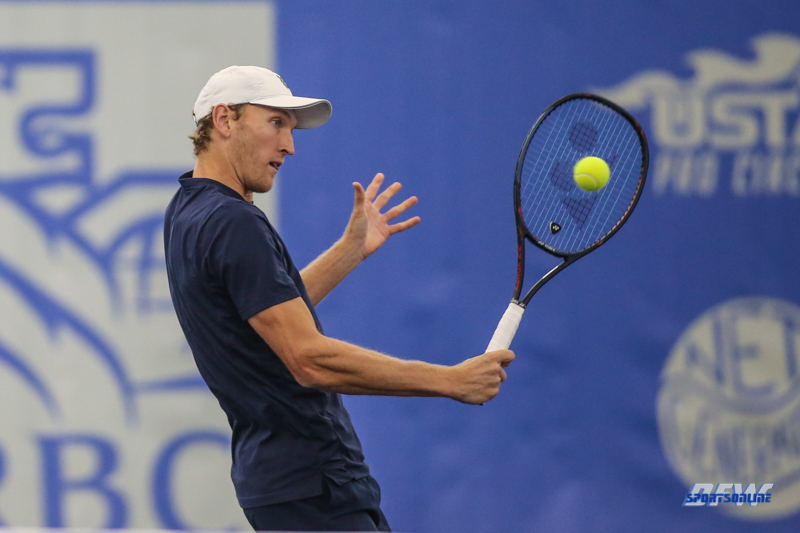 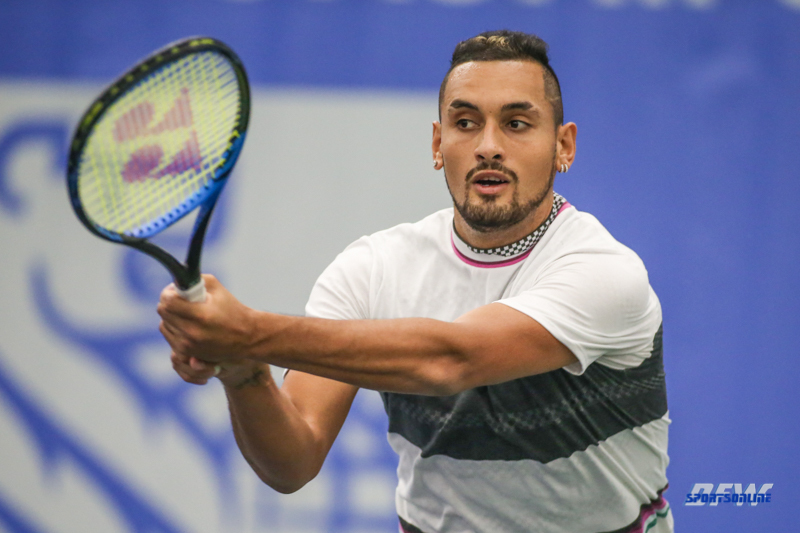 The 25-year-old has been plotting his ascent on the ATP Challenger Tour for more than four years and was finally rewarded with his first piece of silverware. 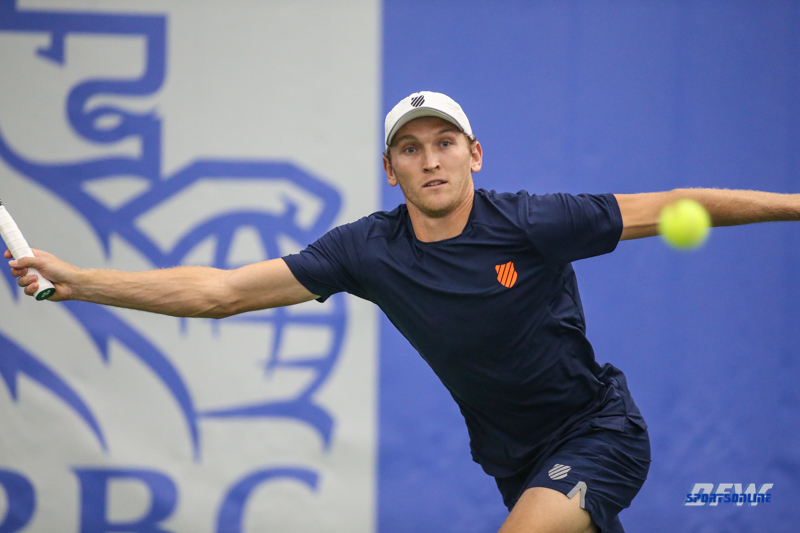 Hard work and perseverance have paid dividends for Krueger in the past year. 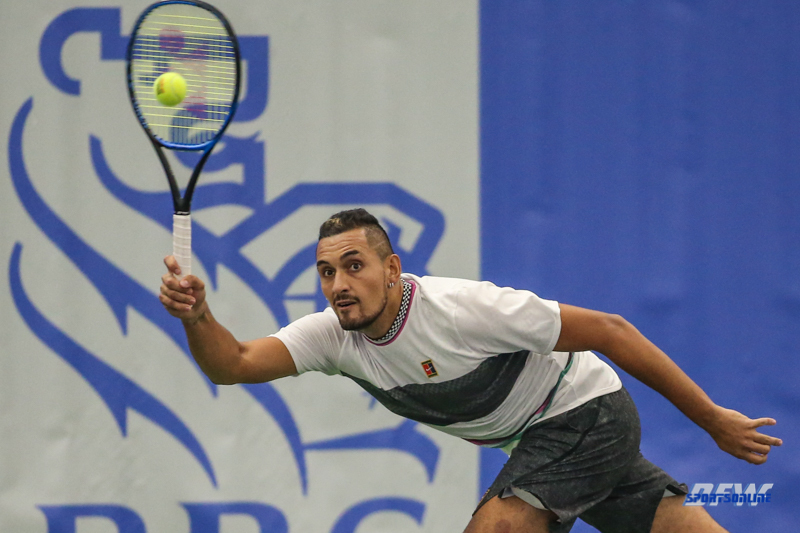 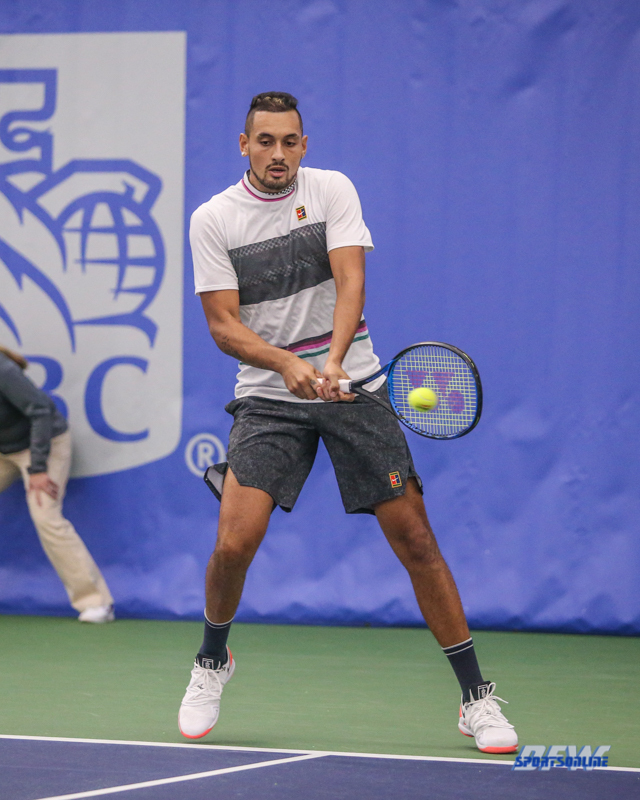 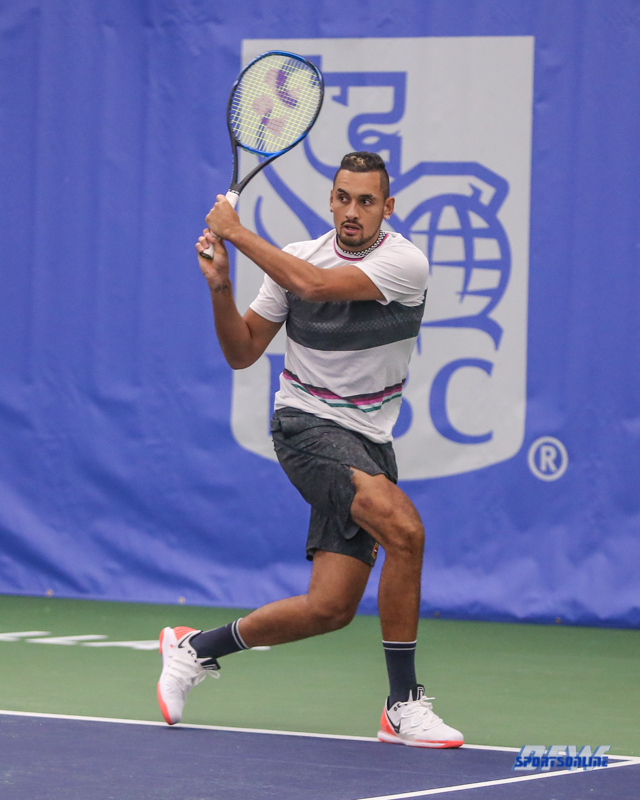 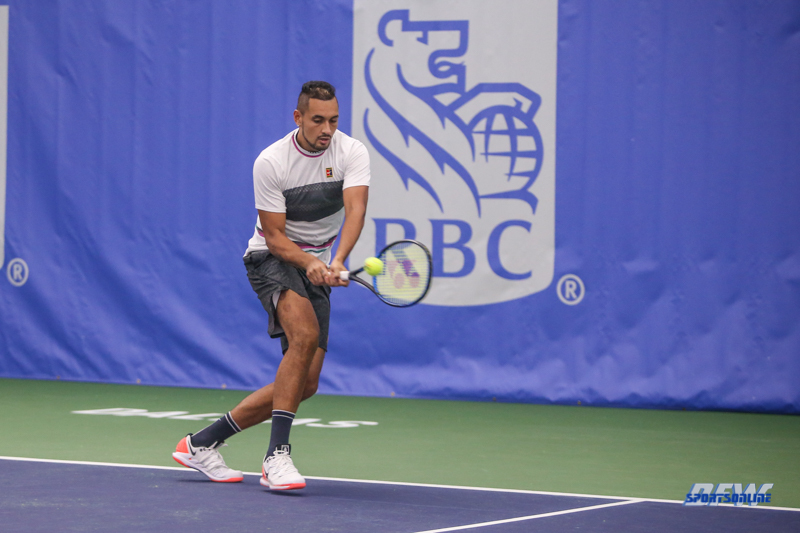 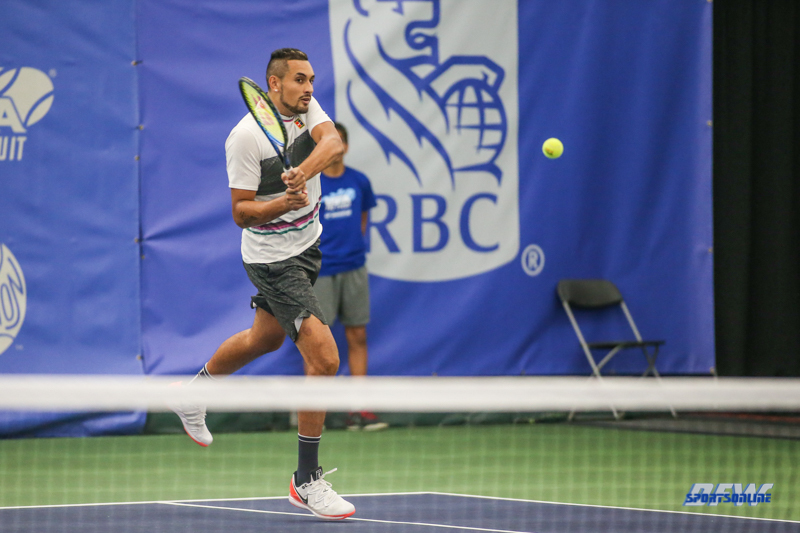 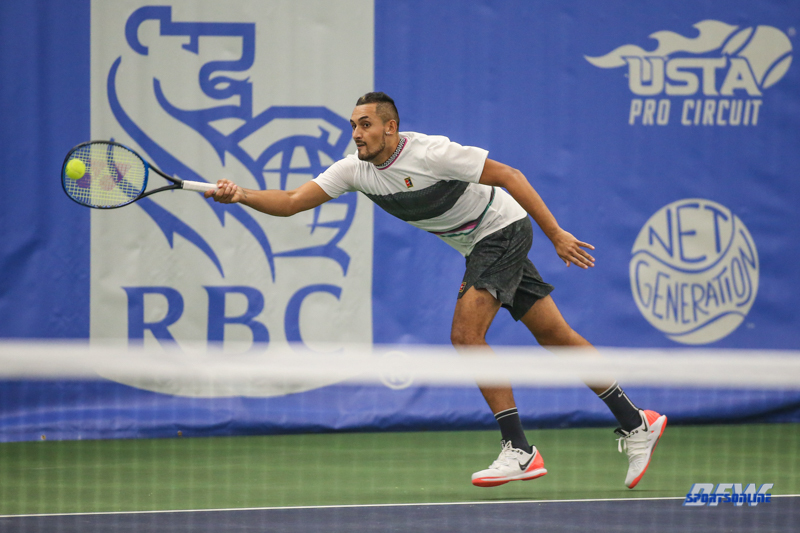 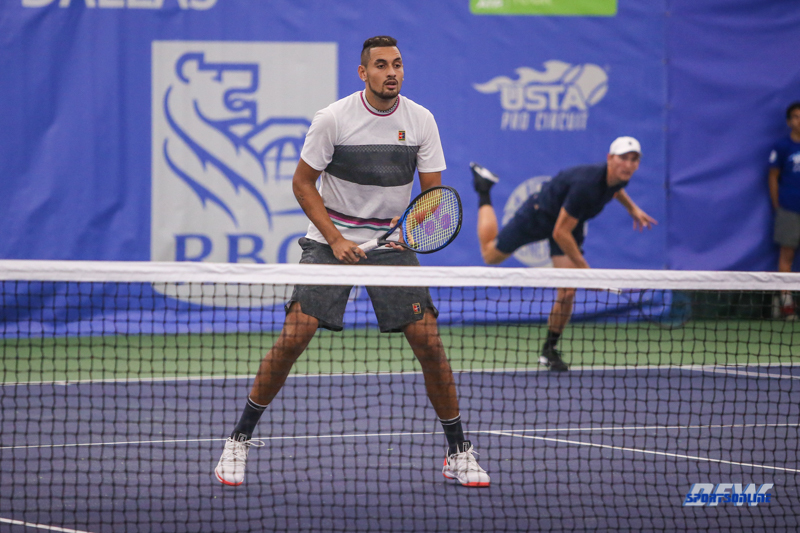 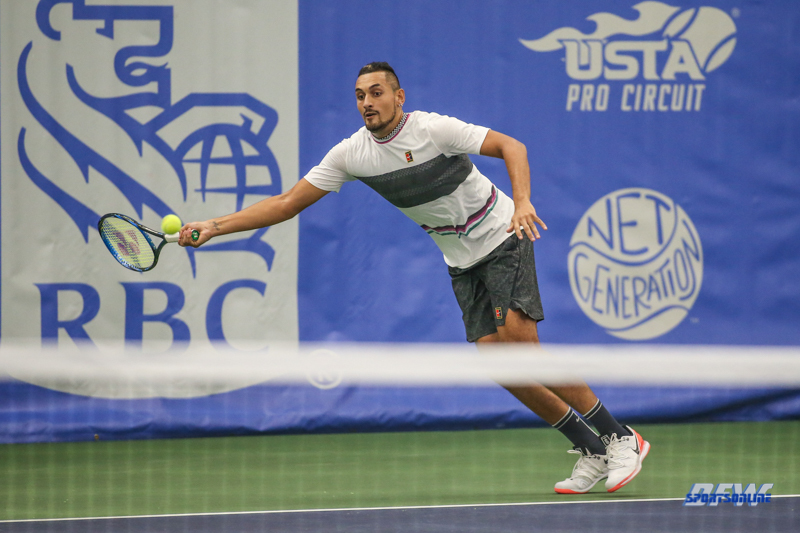 In August, he qualified for his first Grand Slam at the US Open after saving three match points in his second-round match and rallying from a set and a break to punch his ticket. 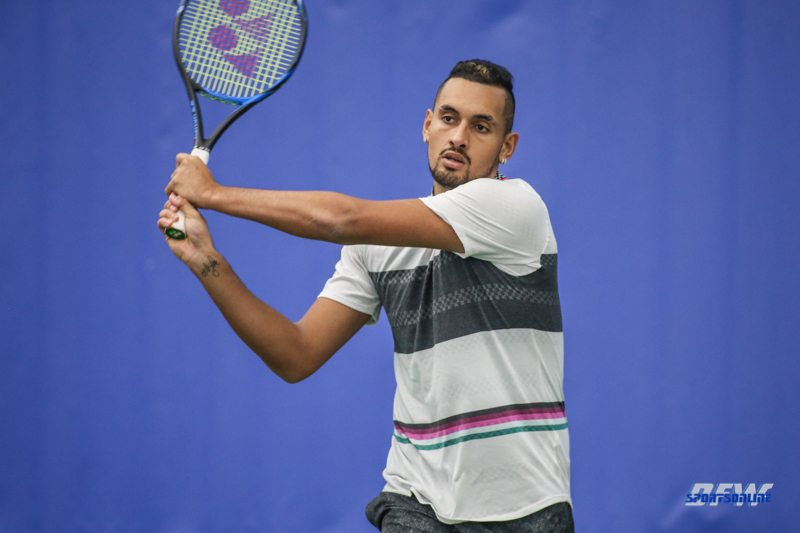 And then last month he earned a spot in the Australian Open main draw for the first time, before falling to Novak Djokovic on Rod Laver Arena. 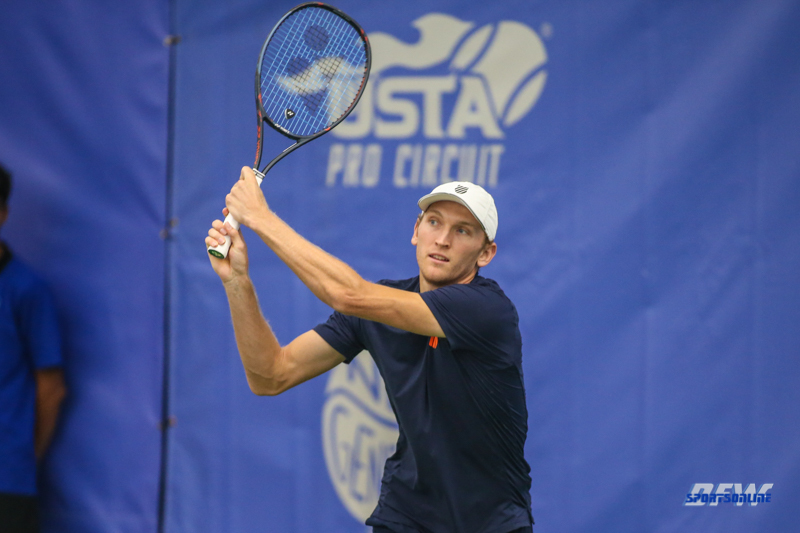 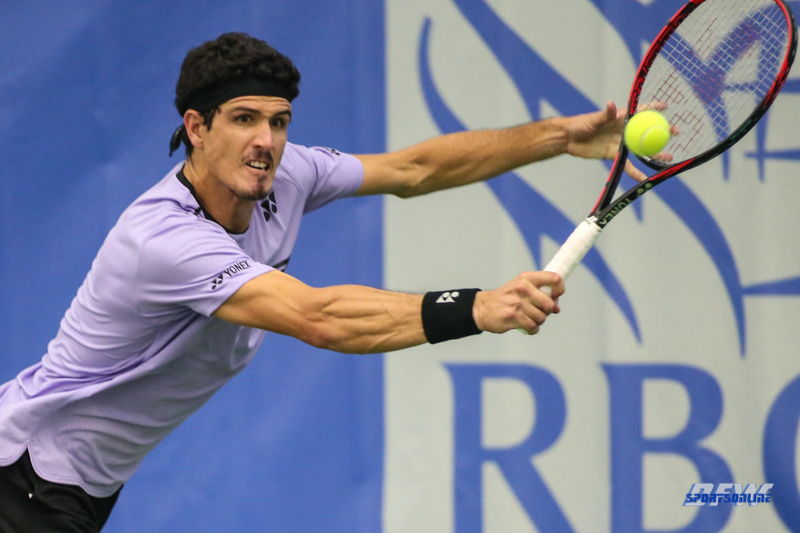 The momentum would carry Krueger to new heights and he has been rewarded with a career-high ATP Ranking of No. 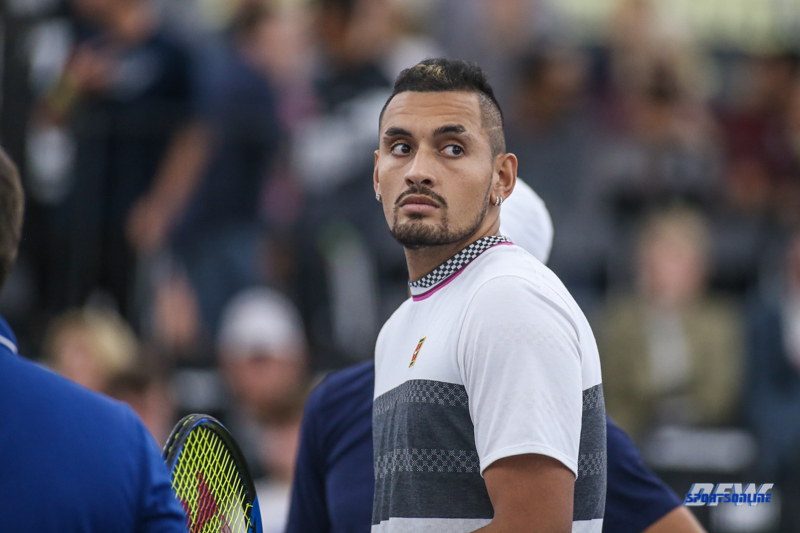 160. 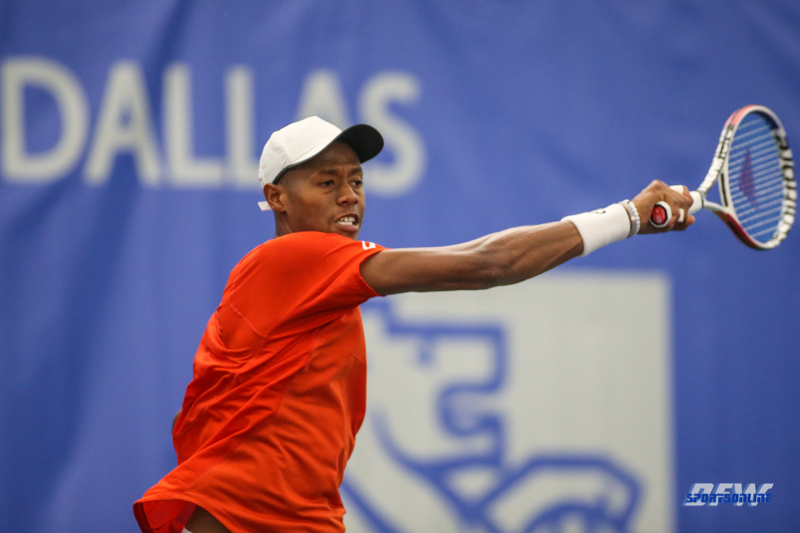 Up 49 spots thanks to his title in Dallas, he is making a significant surge at the age of 25. 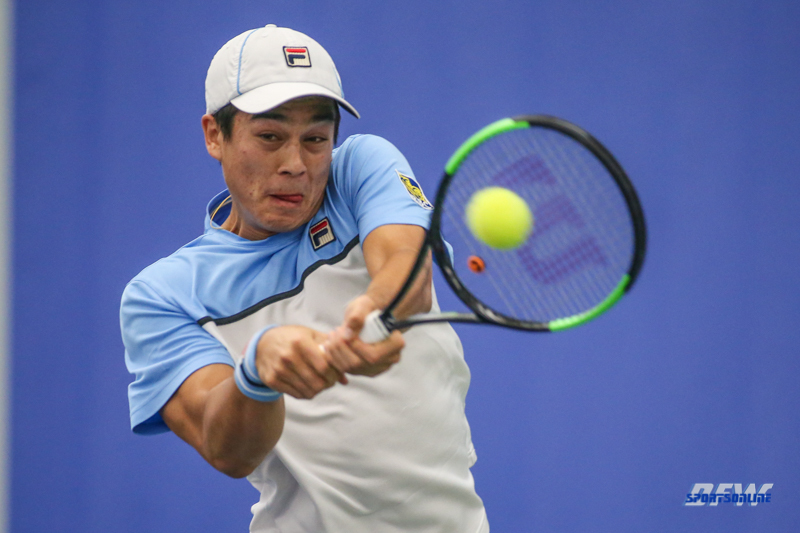 For some players, it simply takes time to put it all together. 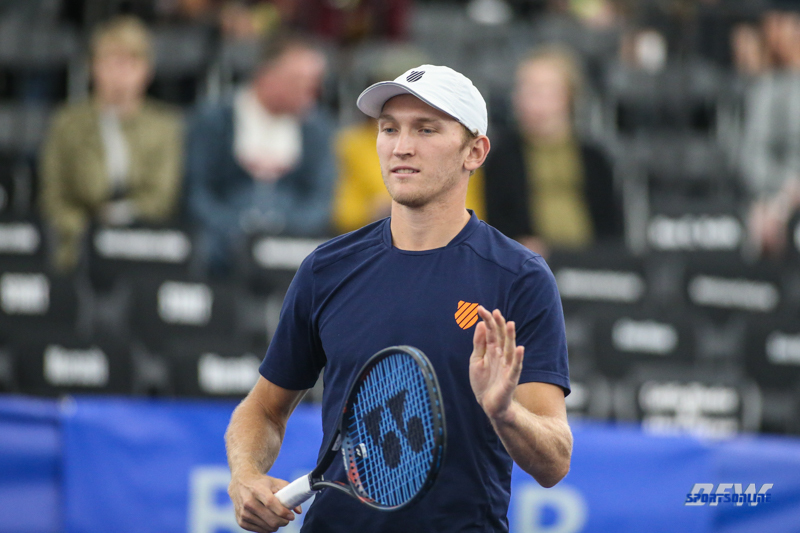 After many years fighting for Challenger glory, Krueger has his moment.